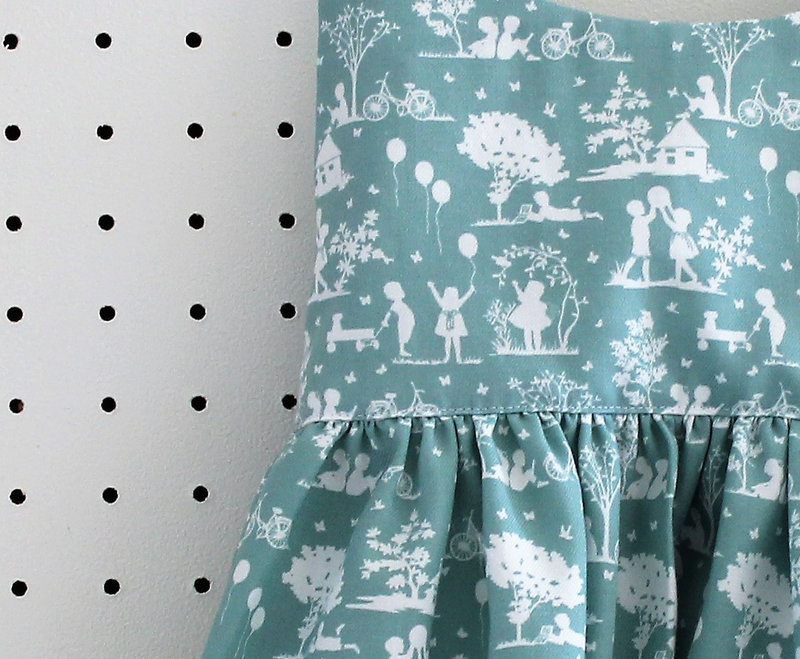 Let´s continue with our third and last part of our Little Girl Dress Pattern Hack Tutorial from the Apricot pattern. 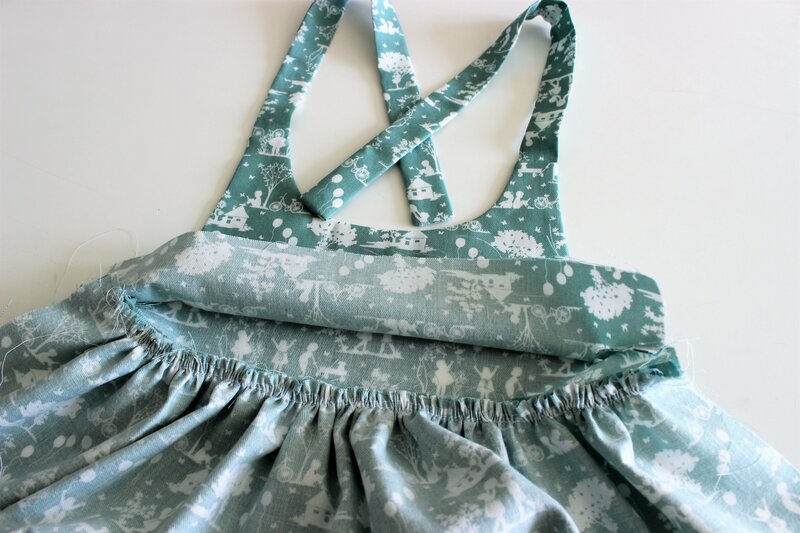 In the last post we finish the front and back skirt, so now it is time to attach them to the bodice. Ready? 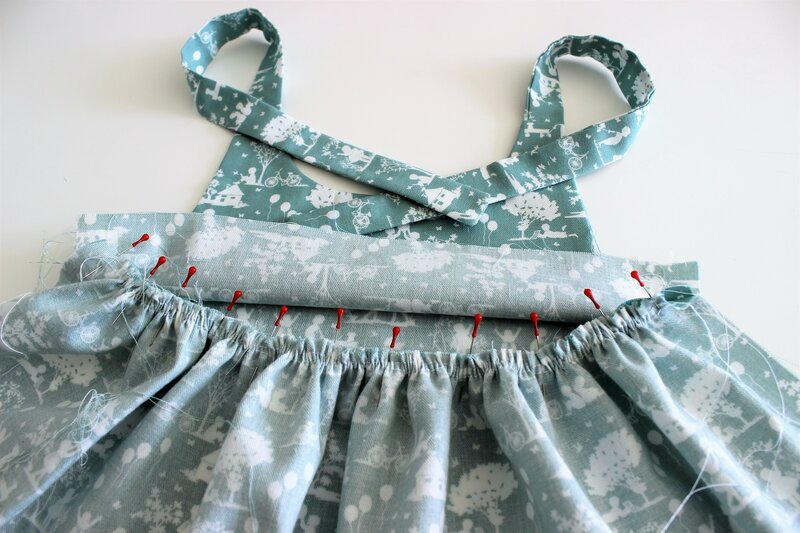 Then let´s sew! Once we have the bodice and the two skirt pieces (front and back) ready, it is time to attach them together. 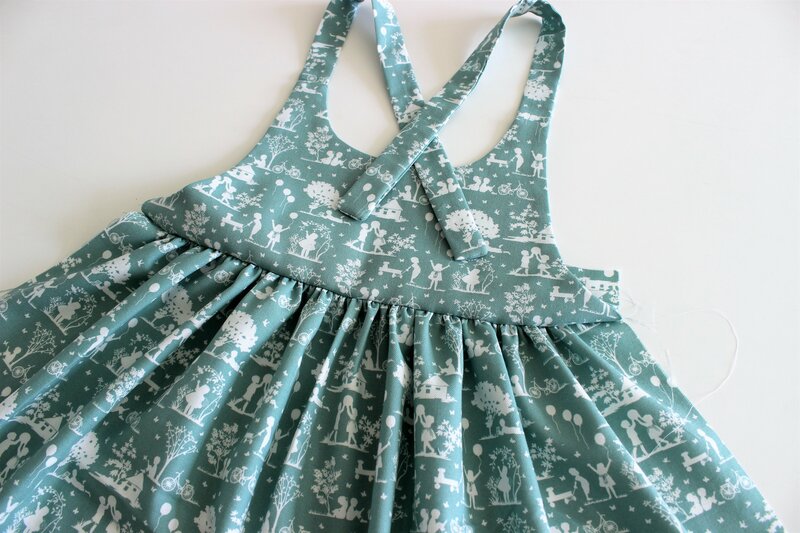 First of all, let´s attach the bodice to the gathered skirt piece, the front skirt. Face the gathering piece (the skirt) and the shortest piece (the front piece without the lining piece) aligning the edges. 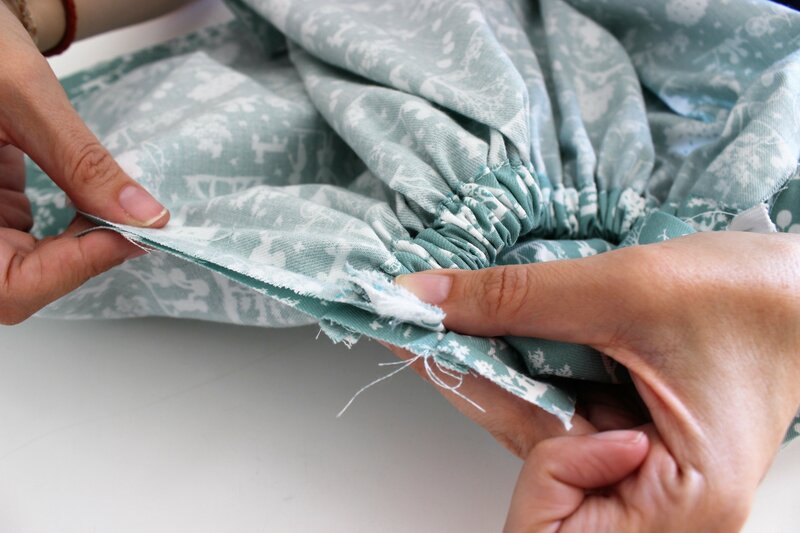 If you are gathering a long piece of fabric, you can make notches in the center of each piece and at each quarter of the piece. 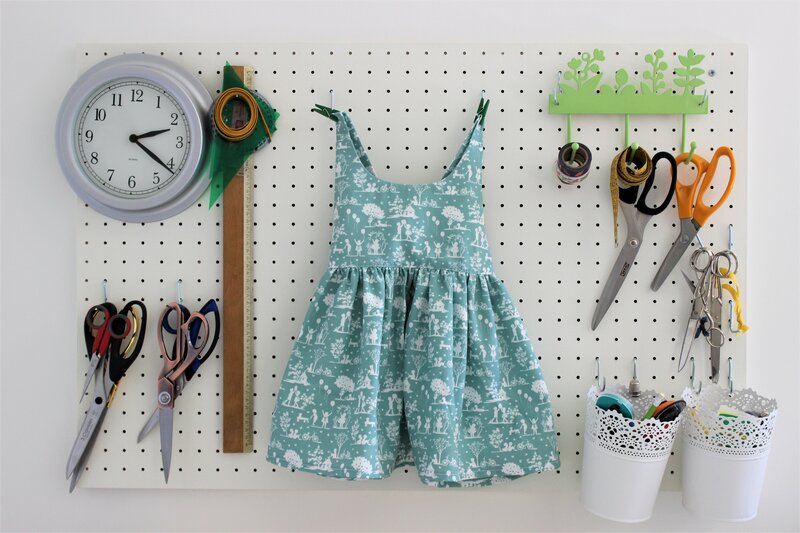 Using this method, you have more reference points and you will gather more uniformly. Make the notches match and secure with pins, always keeping the piece you are gathering on top so you can handle it better. 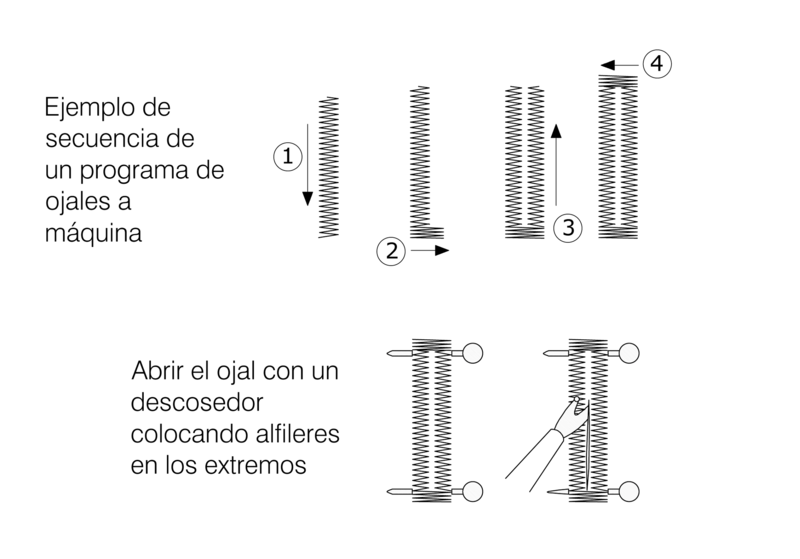 At one of the ends, secure the threads around a pin. 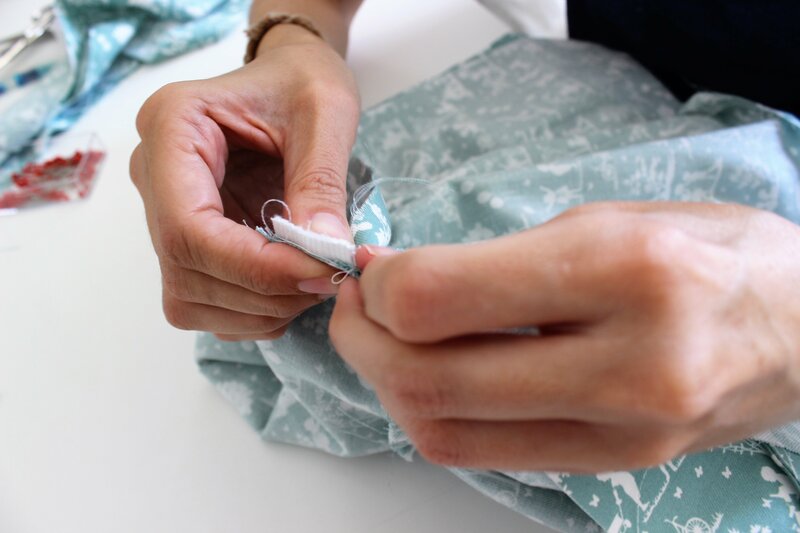 Pull the thread from the other end, distributing the gathers uniformly and secure with pins. 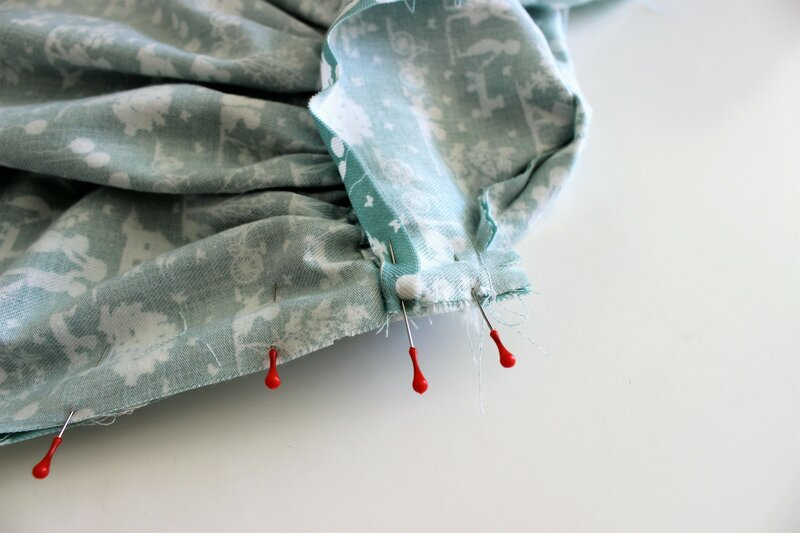 Once you have the desired length, secure the threads (the ones you used to pull) around a pin, as you did on the other end. 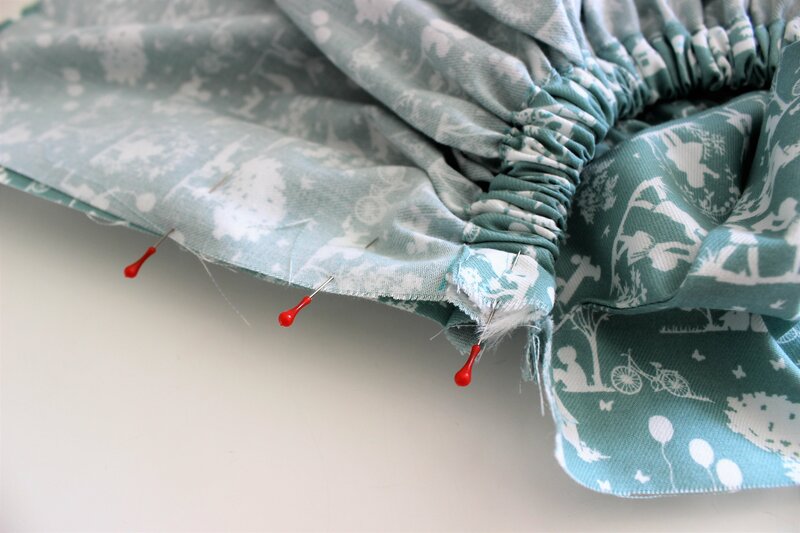 If you are gathering a long piece, do not secure around a pin one of the thread edges, just pull from both sides, distribute the gathers and secure both edges/ends at the end. 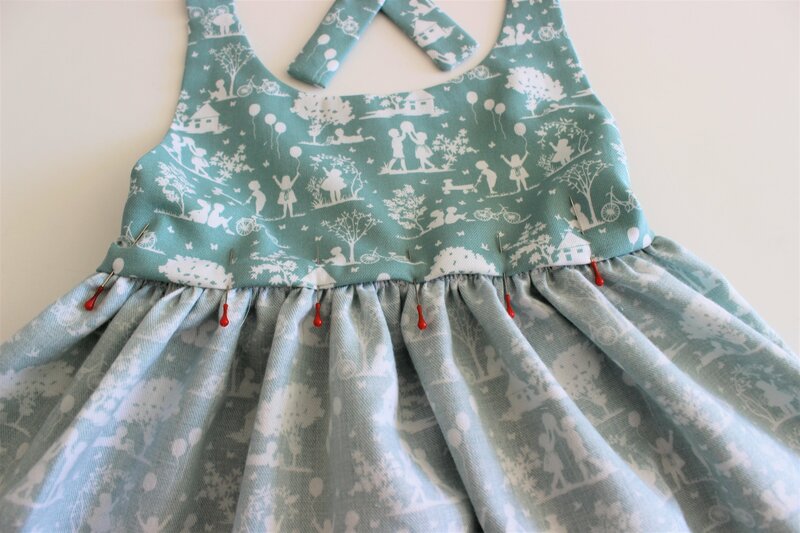 Once the gathering is well distributed and secured with pins, baste and sew using your sewing machine using 1cm seam allowance, backstitch at the beginning and at the end.Press from the gathering towards the seam, softly squashing the gathers. 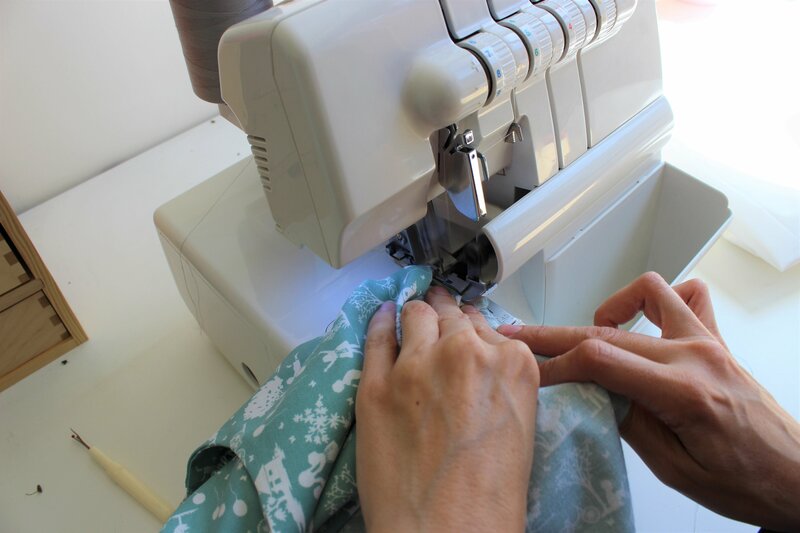 Topstitch the seam you have just done to give it a perfect finish and avoid the fabric to fray (if you don´t have an overlocker, use the zig-zag stitch on your regular sewing machine). And it is done! Press gently and this is what you get on the right side of each piece. Now, it is time to attach the other skirt piece, the back skirt. There is no back piece bodice, so what we do is to attach the back skirt piece to the front skirt piece. At this point, we finish also the front pieces side seams. Pay attention cause this is a technique that you will be able to use in many different projects! 3. 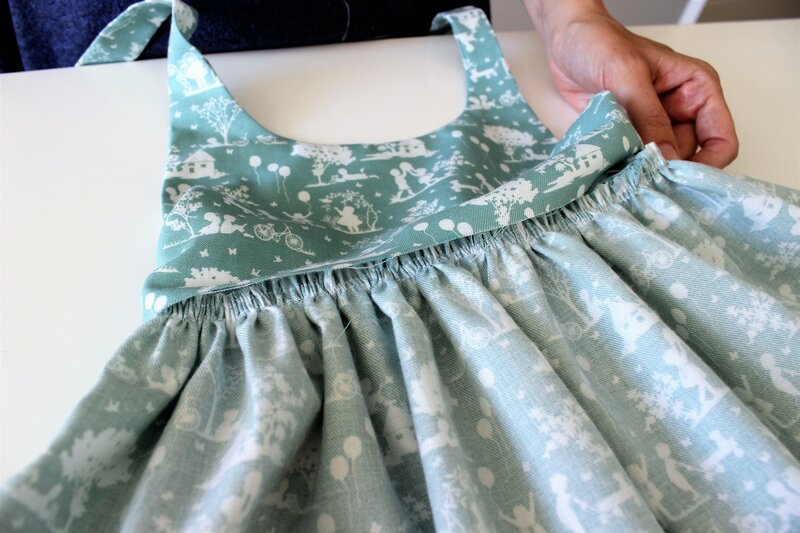 Once everything is pin, sew using 1cm seam allowance. To have a perfect finish for the upper part, baste. And always start sewing from the top part. 4. 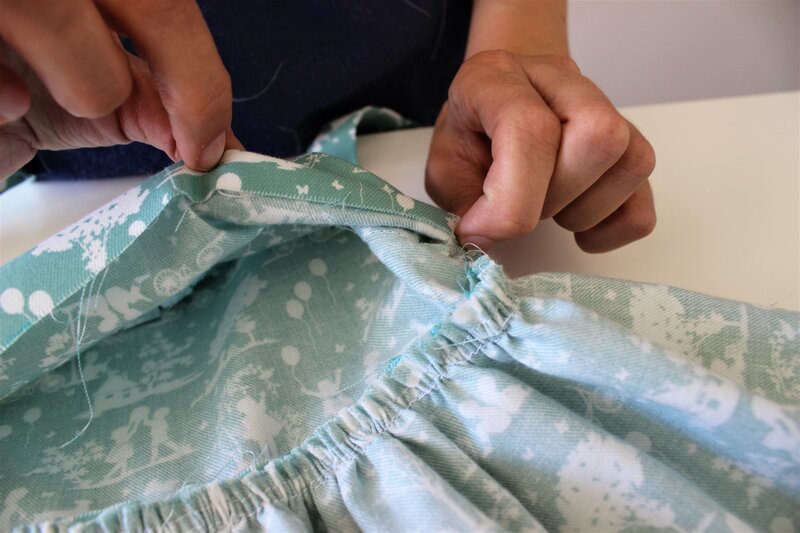 Press the seams open, and then topstitch them or use your overlocker for a perfect finish. 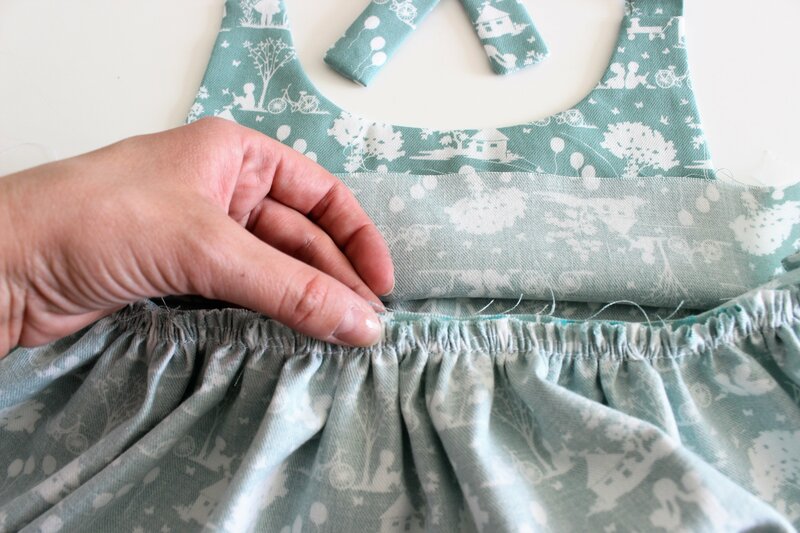 The seams that will be on the inside of the lining does not need to be finished, just the sides of the skirt. 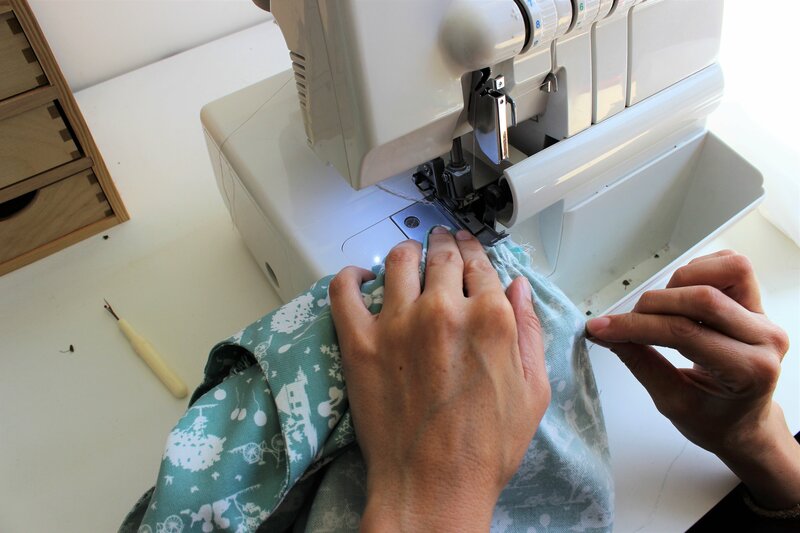 To finish the front bodice, we are going to use the folded cm we left before sewing the side seams. 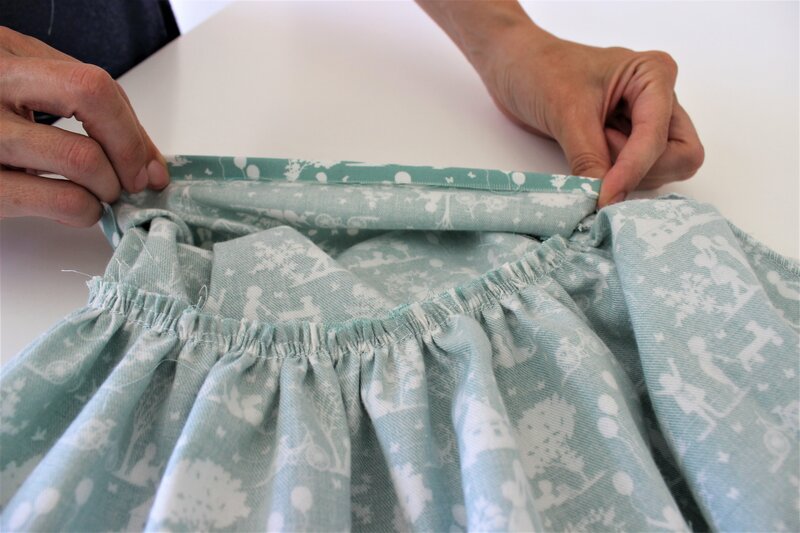 Align the folded edge with the seam (the front and skirt seam), secure with pins being sure you are covering that seam, baste and press gently. From the right side of the bodice, stitch by the edge. 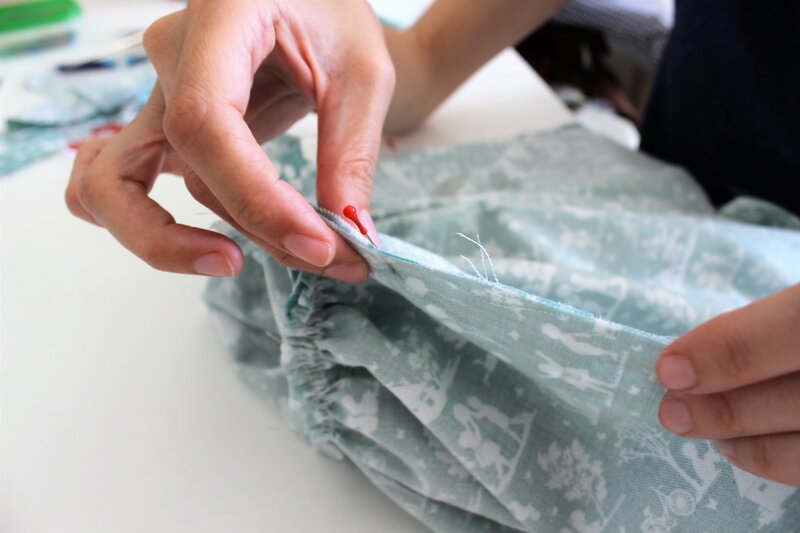 As you have basted on the previous step, you make sure you stitch all the layers together. You can also make an invisible stitch if you prefer. 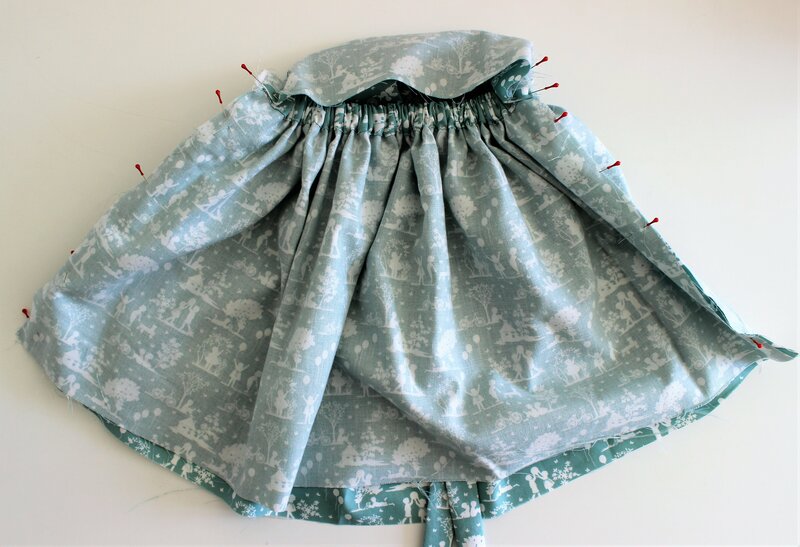 Finally, finish the hem of your skirt, once you are happy with the length of it. For us, we have, first, fold by 1cm, press and fold again by 1cm. 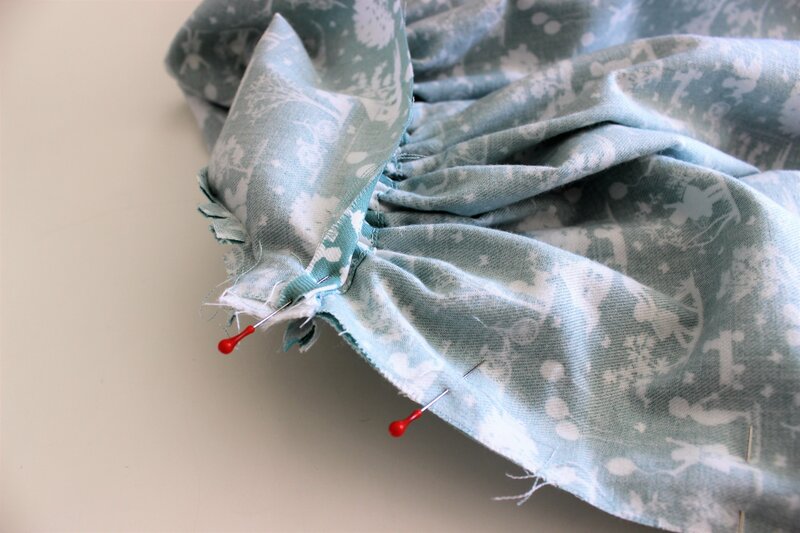 You can make a wider hem if you prefer. 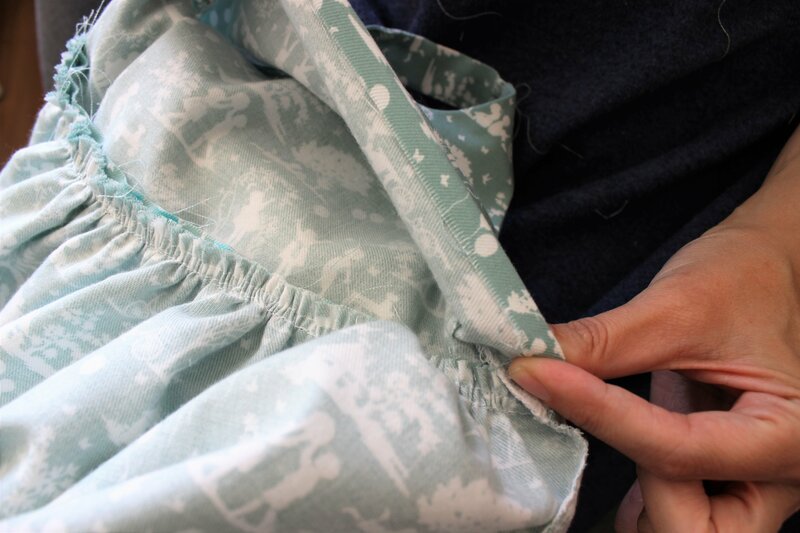 Finally, sew the button at the center of the back waist. 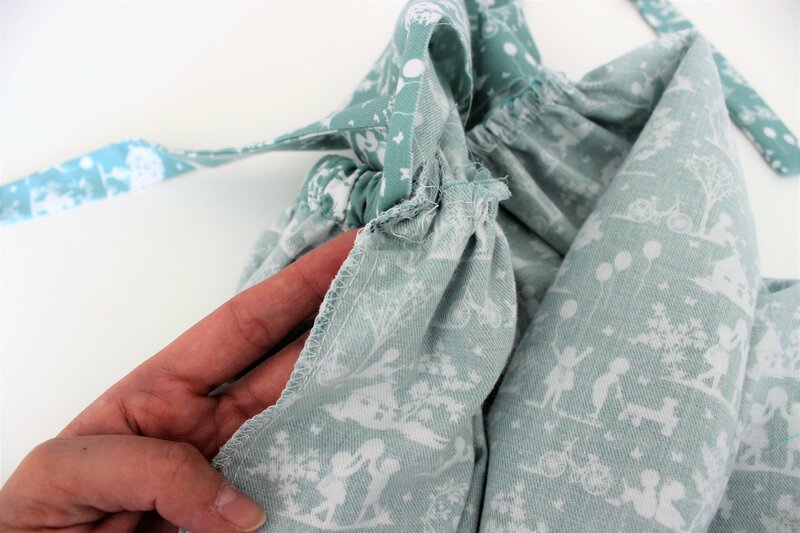 You can sew it on the inside or on the outside, depending if you want the button to be seen or not. If you have any doubt, do not hesitate and leave us a comment. 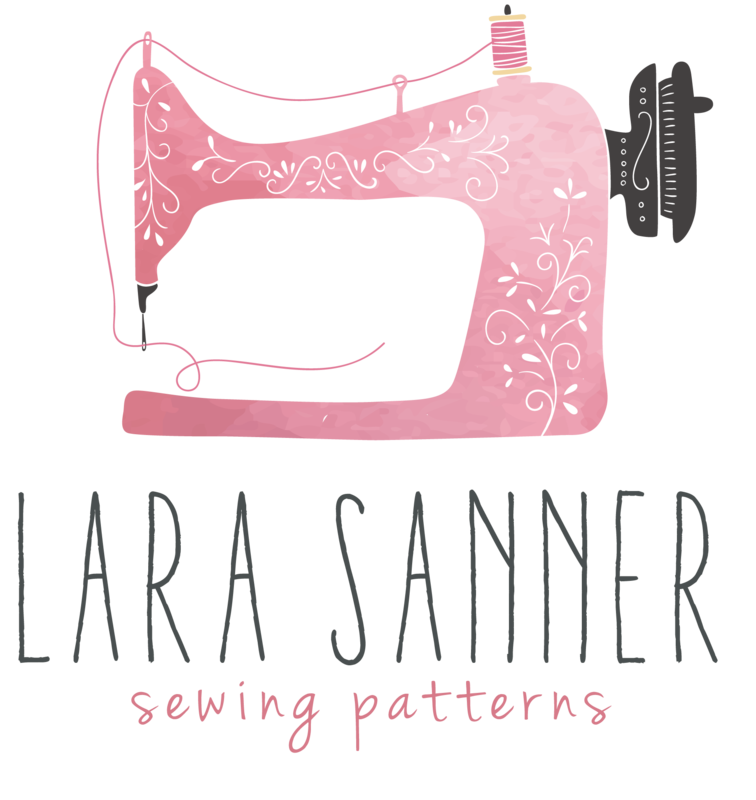 We also have a Facebook group where we share doubts and the garments that we sew, join us!